I love to add color to my spring work style so I am not limited to typical neutral colors; a bit of color here and there is always fun. Banana Republic is one place I love shopping for fun spring work pieces and I wore their floral dress a few weeks ago (a great work piece for spring). The dress can be worn in a casual way like I did or formally with a cardigan or blazer. 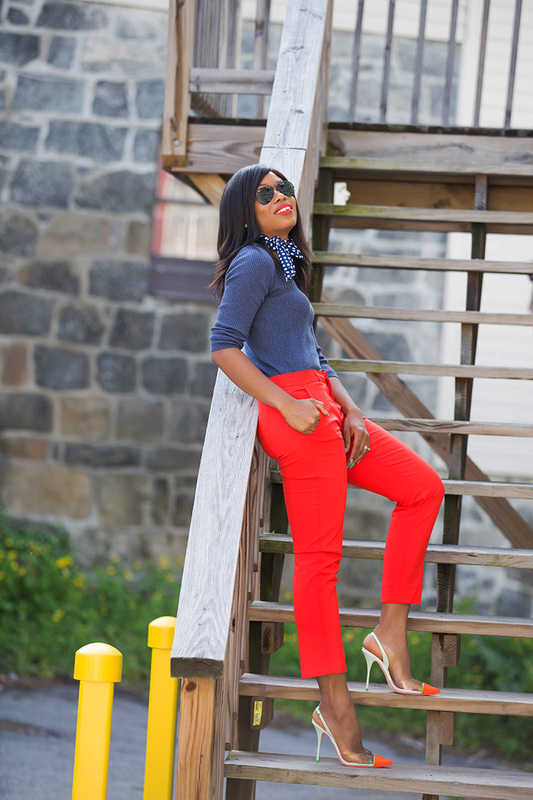 Today's spring work style includes 'reddish-orange' pants paired with a deep navy sweater and the fit of the pants is amazing. The sweater is light and great for spring and the deep navy color enriches the look. I completed the look with fun accessories including a polka dot scarf and sandals. Alternatively, you can pair with black sandals and a navy blue blazer for work like I did a few days ago as seen on my Snapchat (Jadore-Fashion). This post is brought to you by Banana Republic, all opinions are mine. Those pants are everything. I love the stunning red colour and how it pairs with the grey blouse. 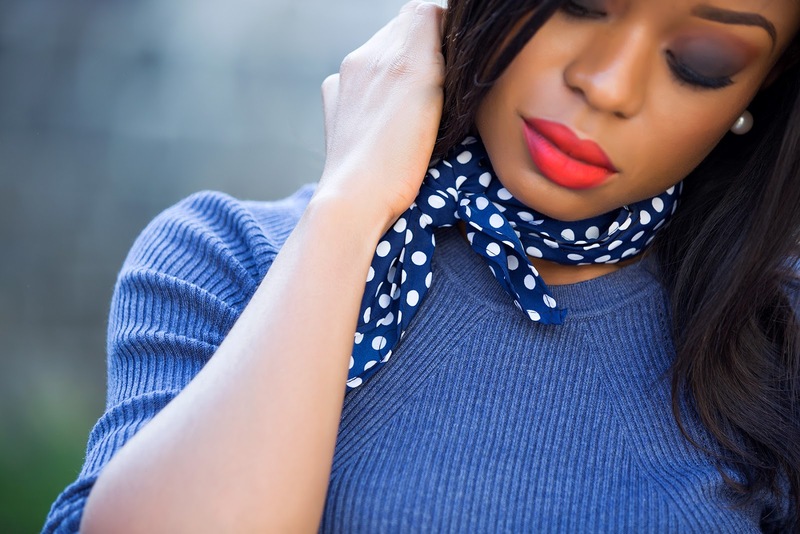 The addition of the polka-dot scarf is perfect. Lovely shoes as well. Such a cute nautical look! Elegant. Your style inspires always. Keep it up. that scarf is the perfect finishing touch!